Mr. Rahul Pandit is the Chief Mentor and Managing Director of ActIT Technologies & Educational Services Pvt. Ltd. An Engineering Graduate from University of Mumbai with Certifications from Microsoft and Indian Institute of Technology (IIT) Mumbai, Rahul brings over 12 years of technology experience to ActIT and is today chiefly responsible for the Vision, Strategy, and Training Offerings of ActIT. Anil Verma is one of Jammu's leading Faculty in the field of Technology Training and Education. He has experience of more Two decades in field Technology Training having more trained more than 3000 Students. His expertise includes C/C++ Programming, Data Structures, RDBMS, Automata etc. Today ActIT is among the leaders in the specialized Education and Training fields. An Alumunus of Peoples Friendship University Moscow, Bharath brings with him an experience of 17 years along with him, working with some of the finest compaines of the World across Europe. 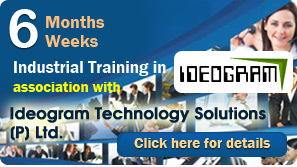 He is an Expert in Training on Java, J2EE, IBM Tools like RAD and DB2. Apart from ActIT, Bharath is also Director of Ideogram Technology Solutions [P] Ltd, one of the leading Web and Software Development Companies in India thats having more than 1000 Clients across Globe. Sindhiya Gupta is a Management Graduate from Symbiosis, Pune(one of the most premier Management Institute in India). As Director and Chief Operating Officer, Sindhiya's extensive hands-on experience with IT and related business processes has helped her guide the organization in critical techno-commercial functions. She is responsible for the strategic planning and scoping functional requirements and specs for new Training Courses and projects. Her past experience as project co-ordinator in the field of Education & Training, has helped her master the intricacies of one of her key responsibilities - that of Planning and Implementation.